Finding a publisher can be difficult, particularly for children's books. There is good news and bad news. The bad news is that you may need to send your manuscript to hundreds of publishers before the best offer arrives. And, unless you are already a published author, you will probably have to pay some of the publishing costs. The good news is that almost no publishers want a paper manuscript any longer. Publishers today prefer that you send a proposal by electronic mail. This makes it much easier and less costly to contact publishers. However, your proposal must be perfect and that takes time. Don't waste your time sending a proposal to a publisher who doesn't specialize in your type of book. You are not going to change their mind and they receive hundreds of proposals each week. So, research publishing companies carefully. Search within each company for books of your type. You can often begin by using search terms related to your book's title and content. Some of the larger companies have departments for specific genre. Search for "science fiction, self-help, children's," or whatever genre your book represents. Narrow your search to those publishing companies that publish your type of book and are currently accepting submissions. "Once you find a publishing company that specializes in your genre and scheme, get ready to contact them. Some people prefer to seek a literary agent first. While literary agents can and do find publishers for novice writers, this method is not often successful. Literary agents seek published authors, established in a certain genre. If you've never been published before, your chance of successfully obtaining an agent for your first novel is poor. Like find a publisher, being represented by an agent requires an excellent proposal and just the right opportunity. Meanwhile, you can and should go ahead and contact publishers on your own. You can always seek an agent later. Each publisher prefers his or her own specific way of receiving information. That means you must research each publisher on the Internet. Look for something that says, "Submission Guidelines." This will tell you precisely what to send, and how to send it. Read this very carefully. If they are seeking a manuscript that is different from yours, forget them and move along. If your book seems to be a good fit with the publisher's interests, then create a proposal that will fit their guidelines. Some publishers are very diligent in rejecting author proposals that do not address each content requirement from the submission guidelines. Do not take this lightly. Step one is developing a terrific book proposal. Proposals must include very specific information in a very particular format. Fail to do this and your proposal will be rejected. In the absence of other directions, your proposal should include a table of contents, sales attributes, author biography, synopsis, chapter titles, market analysis, competitive analysis, and marketing strategies. Each portion of this proposal is critical. Take your time and use at least one page for each content topic. The synopsis might require several pages. Sometimes the publisher will request several chapters, or the first three chapters. Read their submission requirements very carefully. Tell them who will buy your book (market analysis and sales attributes), why it is better than similar books (competitive analysis), and how you will persuade people to buy it (marketing strategies). Take your time and give each topic a page of its own. If you're still uncertain about what to write, dig deeper with Internet search efforts. There is a great deal available. Publishers receive hundreds of proposals daily and they will gladly delete yours if you fail to follow directions carefully. Remember, you not only must attract their attention, they must also desire your type of book. Sending a proposal for a horror fiction novel to a publisher who specializes in children's books is a waste of everyone's time. Even if you find the right publisher for your work, you must convince the publisher why the public will enjoy your book, who will buy it and how you will sell it. Acquire lists of prospective publishers on the Internet. Use search terms to find publishers for your topic and genre. Some companies will sell you a list of publishers. You can largely find them on your on. Plan to contact a few hundred publishers via the Internet. That's right a few HUNDRED. Being published is like getting a job. Your proposal is your resume. The better it is, the more interviews you will obtain. The more proposals you send, the more positive responses you will receive. The first offer is not necessarily the best. And, in this world, patience is most definitely a virtue. It might take months or years. But this I guarantee... the more proposals you send each week, the faster you will be published. Two or three proposals per week just won't get the job done. You may not wish to contract with the first publisher that accepts your book, especially if it is a vanity publisher. Today's publishing industry can be a little difficult to comprehend. Traditional publishers are turning into vanity publishers. Very few traditional publishers will offer you a contract without asking for some money, unless you are already a successful author. But, it can happen and you certainly can negotiate over costs. Traditional publishers still have a great attribute. They will print your book, store it, contract with distributors and use their channels of influence to get it up on all of the major retail sales listings quickly. They will market your book in ways that would be difficult to accomplish on your own. And, they have distribution channels that you do not. 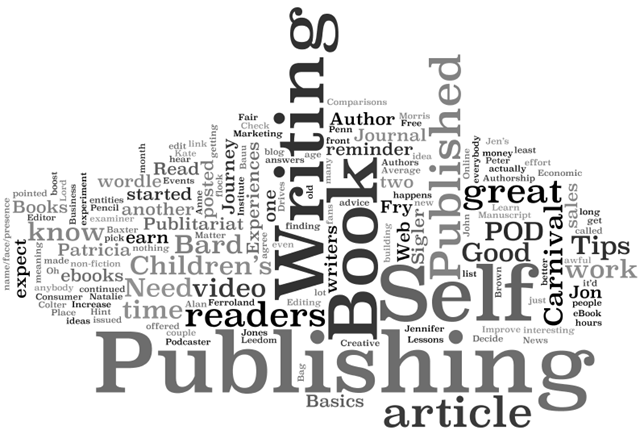 With self-publishing, or vanity publishers, you need to do those things on your own. If you simply want to have a nice book with your name on it for your coffee table, then vanity publishing might be fine. But, if you want people to read it, a traditional publisher is more appropriate. Then there is the critical issue of marketing. Many vanity or self-publishing publishers will print your book, but not market it. Yes, it will be in their on-line catalog. But how many people read that? Who will place your book on the Internet sites of Amazon, Borders, Barnes & Noble, Target and Wal-Mart? How will your book be sold in Europe, Africa, South America and Asia? Who will distribute it? Who will process sales and pay for shipment? Who will promote your book at book fairs around the world? Who will generate radio, television and viral Internet marketing? These are all reasons why traditional publishers are the best way to go. Besides, you'll receive royalties twice a year, which a pretty nice feeling. Send each publisher an e-mail cover page that will get the reader hooked on your book. Explain why that particular publisher is a good fit with your book (yes, you will have to research the publisher in order to do this). If possible, attach your proposal. If the publisher will not accept attachments, then you'll need to use the e-mail cover page and hope for a proposal request reply. But, there is another alternative. While most publishers are reticent to open an attachment from a stranger (would you? ), they won't hesitate to open an Internet link. So, create web pages for your book and embed them within your e-mail cover page. This is easy and free. Anyone can create a web page for a book (use any free service, like Yahoo, Google, Hotmail, Word press, Geocities, etc.). Create a one-page synopsis, packed with features and reasons why people will purchase it. Then, embed the link for that web site into your e-mail letter to the publisher. While many publishers fear opening attachments from strangers, virtually none of them fears opening a web site. I created four web sites for my book and I provide a few interesting articles as well. This took about three days to create. It cost nothing. In fact, some large Internet companies, like Google, will pay you per click if you allow them to advertise on your site. Instead of paying for web site development, create your won and make money by selling advertising on it. The more times you send a proposal to a publisher, the better you will become with embedding Internet hyperlinks into your e-mail cover page. Again, this is a very simple process. In many e-mail programs that use Word as an editor, you can right-click on any word and then select the button for "Hyperlink." When your reader clicks on that word (while compressing the "Control" key), your web site will emerge in their browser. Within your web site, you can have a tab or link for your proposal, as well as your biography. Or, you can write a proposal on the load page. That page can offer links to other pages that review and sell your book in greater detail.